Good marketers create amazing content for their audience. Performance-driven marketers create high-performing content. But, how do you understand what type of content to create? 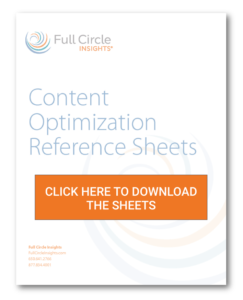 In the Content Optimization Reference Sheets, you’ll find concepts, definitions, examples, and a methodology for assessing content performance so you can learn about your audience and make decisions on content creation as well as delivery. 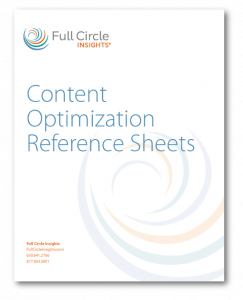 Thank you for requesting the Content Optimization Reference Sheets.